A reality film, based on true events when ISIS invaded civilians and beheaded them in Iraq and Syria. It shows the dreams of a man who is imprisoned by ISIS and started to dream about his wife and children. It was filmed in Erbil and Sulemanya, in Kurdistan, Iraq. PA film school graduate, Shirin Jahani is a writer and director of numerous television documentaries and episodic programs, as well as three short films for which she has received numerous awards, and a feature film. 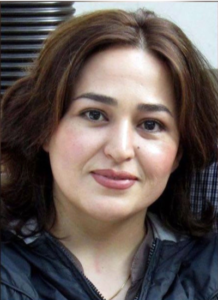 She is the first woman filmmaker in Kurdistan. Her film debut, “Stars of my Homeland” won the first-place award at Calabria film festival in Italy and best film award at Alexanderia Film Festival in Egypt. Jahani is also a poet. Her first poetry volume is entitled “Dance on Fire.” She has also served on numerous juries for film festivals in Kurdistan and in London.